The “Terror Threat Snapshot” also reported that the Islamic State “is fueling the Islamist terror” globally; that Islamist terrorists “are intent on killing law enforcement” officers and U.S. troops, as well as civilians; and that 25,000 fighters from 100 countries have traveled to Syria and Iraq to join the Islamic State. In addition, more than 250 Americans have traveled, or attempted to travel, to Syria to fight with the Islamists. In 2015 so far, there have been 30 U.S.-based jihadist cases, the committee informed CNSNews.com. In 2001, after the Sept. 11 attacks, there were only two U.S.-based jihadist cases uncovered that year, the committee said. One of those cases involved Jose Padilla, also known as Abudullah al-Muhajir, a U.S. citizen convicted on multiple counts of criminal conspiracy related to jihadist terrorism; the second case was the Portland Seven, a group of American Muslims who were attempting to join Al Qaeda but were thwarted by the FBI. “The number of U.S. terrorist cases involving homegrown violent jihadists has gone from 38 in July 2010 to 122 today—a three-fold increase in just five years,” reads the Snapshot. On July 29, for instance, Arafat Nagi was arrested after he attempted to travel from New York to join the Islamic State. 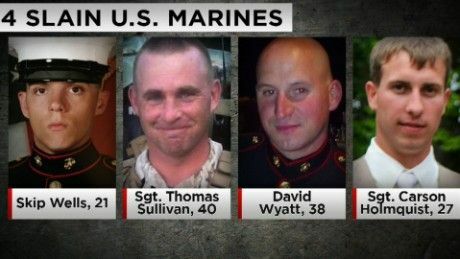 On July 16, Youssef Abdulazeez attacked two military facilities in Chattanooga, Tenn., and killed four Marines and a Navy sailor. In addition, “[t]here have been nearly twice as many ISIS-linked plots against Western targets in the first seven months of this year (35) than in all of 2014,” reported the committee. The “Terror Threat Snapshot” can be read in its entirety here.